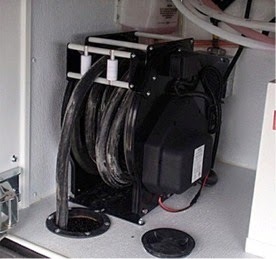 Using a cable reel to store cords or hoses makes things much easier when needing to organize supplies. Sometimes you find that cords somehow are tangled up when you retrieve them, even if they were put back neatly. A cable reels such as the Glendinning Cablemaster CRR50-12 can alleviate that hassle by keeping the cord neatly rolled up. It also eliminates the time spent untangling it when you need it again. Using the Cablemaster also helps free up valuable storage space. 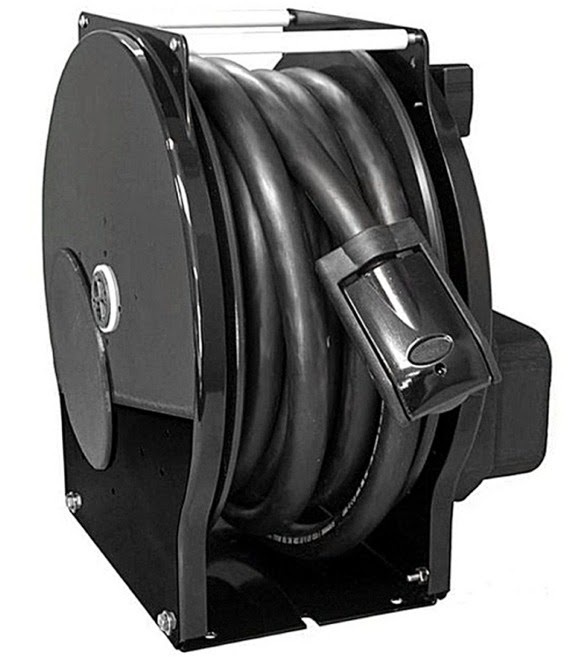 This motorized reel is designed for 50 Amp RV power cords and has a 36 foot cord capacity with a 12V motor. Pulling the cord out does not expend any effort, and it uses an easy push button system to retract the cable once you are through with it. The cable is kept on the reel during retraction thanks to the guide rollers that keep it in place. The guides also create a stop for the cord so it won't over-retract. The plug itself is made to be removed without trouble, simply by lifting the handle, while it also features an LED that shows when there is power on hand. It is made to be durable, and comes with a 1 year limited warranty. It is recommended that the entire length of the power cord be checked periodically, even if only a smaller portion of it is used. This helps ensure that the cord is still in good condition. The plug and any connections should be checked as well to make sure they are still safe to use.